A wonderful journey with the Farm2School event! 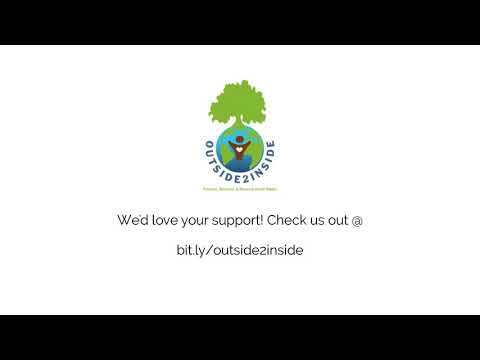 The Farm2School is one of the premier programs of Outside2Inside in reducing food waste. 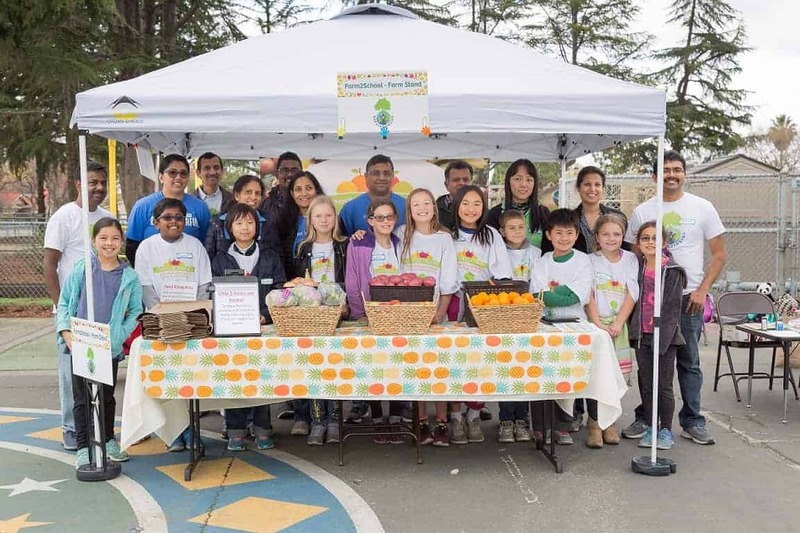 In this program, a low cost Wonky Produce Farmer’s Market is setup at local low income schools by recovering the “cosmetically-challenged” fruit & veggies—food that is perfectly good, but not aesthetically suitable for retail. The school students are involved & equipped with knowledge about food waste, thereby enabling them to be advocates of food waste reduction and to run the farmer’s market. The goal of this program is to recover wonky produce and to create awareness about food waste among the local community. On July 2018, the Farm2School program won the grant award from Intel Corporation for conducting one such event by the end of 2018. That was a significant achievement in itself but we cannot just stop there. We had to do an amazing event to justify the award. We didn’t even had the school available at the time of award. But at the time of writing this post, we have successfully completed the 2nd Farm2school event and it was a great success. After we got the funding from Intel Corporation, the first task was to reach out to local schools in Santa Clara County. We went about the task by visiting the schools in bay area and pitching about the program to them. The Ponderosa Elementary School in Sunnyvale bought into the idea and agreed to participate in the program. The Ponderosa Elementary School is a public school and is part of the Santa Clara Unified School District. The school has ~570 students with ~30% of the students & families in a low income environment. We finalized to do the Farm2School event on Dec 19, 2018 between 1.15pm – 3.15pm. But to pull this off successfully, there were 2 months of preparation work and 4 other major sessions we had to do before the event. Once date was finalized, we advertised the event through flyers, social media posts, and email notification within the school community, family and friends. Then we started with the 4 major sessions. 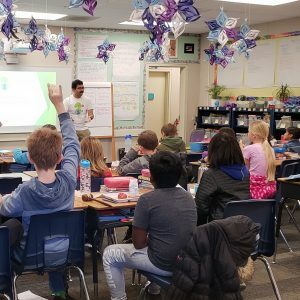 A few weeks before the event on Nov 30, 2018, we went to the Ponderosa Elementary school and did an Information Session for the students. This session was to introduce the concept of Food Waste, Wonky Produce and to encourage the students to volunteer for the Farm2School – Wonky Produce Farmer’s Market event. This is the program’s first step in enabling the students to be advocates of food waste awareness. So we need to make the best impression on the kids. We made it very kids friendly with some games, trivia questions about food waste and some sample wonky produce for each of the kids to take home. The Students were very excited to know about wonky produce and many of them signed up to volunteer for the event. We worked with the school to get the final list of student volunteers and arranged for a training session with them. There were totally 15 students who signed up as volunteers. We had roles & responsibilities defined for the student volunteers to run the farmer’s market. There were roles like Greeter, Food Waste Stats Guide, Stamper, Finger Counter, Survey Guide etc. But the Stamper and Finger Counter were the favorite among the kids. We explained the roles and identified the students for each role. All the student volunteers were also given an Outside2Inside T-shirt. The Wonky produce are fruits and veggies that are odd shaped, irregular sized, having minor scars or discolored due to heat but perfectly good & nutritious as any other produce we buy in the market. 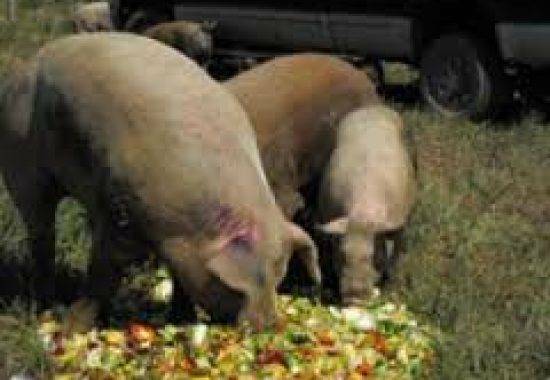 Just because they are wonky, there is no demand and farms end up trashing them. Outside2Inside has partnered with many local farms and produce warehouses to recover such wonky produce from them. 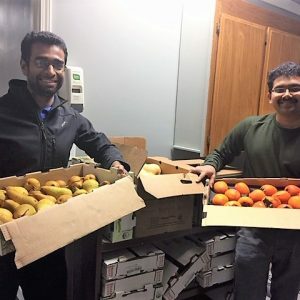 In this event, we went to a produce warehouse in San Francisco and recovered ~300lbs of produce on Dec 17, 2018. Wonky Persimmon – If not for us, this would have been in trash just because it is odd shaped! Outside2Inside & Intel Volunteers recovering Wonky Produce. With the help of Schools, farms and volunteers we were prepared for the event on Dec 19. 2018. But there was some anxiety before the event. The volunteers came by 12noon to the Outside2Inside office and after a short briefing we all got into the action. We started packing the wonky produce and other things like canopy, produce baskets, banners etc into the car and reached the school by 12.30pm. The volunteers were super enthusiastic and had the Wonky Produce Farmer’s market being setup within 30mins by 1pm. The adult volunteers took responsibility of the kids they manage and formed a great partnership. At 1.15pm, we opened the Wonky Produce Farmer’s market to the people and the crowd kept pouring in making the event a great success. Recovered ~600lbs of wonky produce from getting wasted. Indirectly, this helped prevent ~225lbs of Green House Gas emissions and saved ~47K gallons of water from being wasted. Donated the produce to ~150 students and their families. Raised awareness about reducing food waste to ~600 people. Engaged 15 students as volunteers in bringing awareness about food waste. The student volunteers learnt food waste reduction advocacy, leadership skills, artful communication & public presentation skills and community engagement. 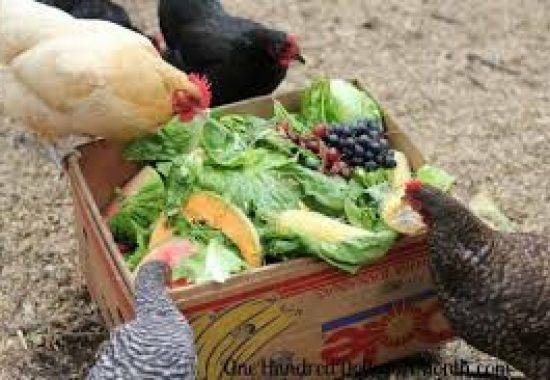 From our feedback survey, 100% of the participants liked the fruits and veggies provided in the Farm2School program and would like to visit such future events from Outside2Inside. These amazing achievements wouldn’t have been possible without the contributions of our partners, donors and importantly the volunteers. We thank Ponderosa School for participating in the event, Intel Corporation for funding this event and the volunteers who gave their valuable time in making this event a big success. We wish to have more such partnerships with Intel and Ponderosa School in future. – Sriram Natarajan, Director of Food Recovery, O2I.